After meeting Prime Minster in Delhi, Vaiko told reporters that he told Prime Minister that the dam faces threat from Kerala people, instigated mob and not from natural calamity. "The Kerala State Police could not control them because the Kerala Government has itself stated we will destroy the dam, and we would remove the rubble. Therefore the central government must immeadiately deploy forces", Vaico said. Tamil Nadu wants the dam's storage capacity to be increased by raising water level from exixting 136 feet to 142 feet inorder to meet the irrigation needs of farmers in the state. Kerala wants a new dam fearing that a strong earth quake might damage the existing dam causing the death of millions of people. Already more than 20 tremors have shook the area after July 2011. 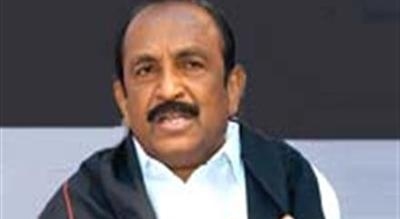 0 Response to "Mullaperiyar Dam faces threat from Keralites: Vaiko"